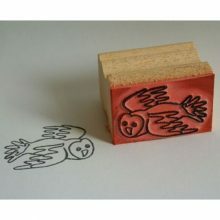 The Barn Owl is one of the world’s most successful birds. It can be found almost everywhere in the world bar polar and desert regions and across every continent except Antarctica. 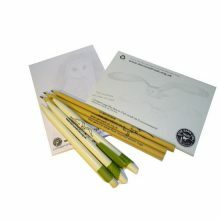 There are 20 -30 sub-species in the family group and the most widespread is Tyto alba alba, the Common Barn Owl, the species that occurs in the UK. Unsurprisingly it is therefore listed by the IUCN as of ‘Least Concern’ when it comes to declines in its numbers. Very sadly this is not the case in the British Isles where their population has crashed catastrophically and only concerted conservation efforts have prevented it from becoming a very rare bird. 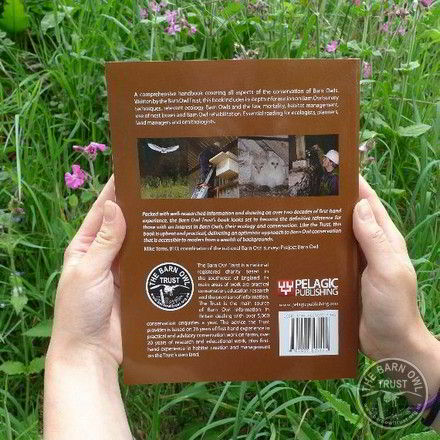 This book is the most complete and concise catalogue of techniques, methods and practices used to protect the Barn Owl, both in captivity and in the wild. It is thus not only a rich repository of essential information but an invaluable tool in the struggle to keep the species secure as a feature in our landscape and its ecosystems. Its detail is impressive to say the least. Each aspect of the Barn Owl’s care is meticulously outlined and the latest practical and applied methods of conservation are clearly analysed and presented. If ever there was a handbook which could save a species then this is it. Anyone who has any interest and any capacity to assist in Barn Owl conservation should thus own this important book, whether it’s through care of injured birds, preparing them for release, managing habitat, protecting or designing nesting resources, understanding the legal aspects of planning or photography or the best techniques to employ whilst surveying and recording the species, it’s here. Along with the basics of its ecology, breeding biology and population dynamics it is complete, remarkable, brilliant. In the 1980’s peoples’ genuine concerns for the species welfare led to a spat of captive breeding Barn Owls for release into the wild. Unfortunately in the absence of such an instructive treatise as this many owls were turned out to die in entirely unsuitable places and now the practice is illegal. My parting thought as I closed this book was to wonder if this now needs review. 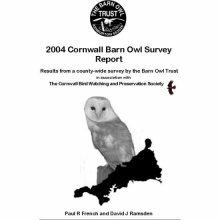 Given the species breeds so well in captivity and provided with the excellent guidelines this text provides I wonder if we didn’t ought to set up ‘Barn Owl Conservation Schools’ where the more determined conservationists can be tutored in the complete skill set required to effect this practice responsibly and successfully. 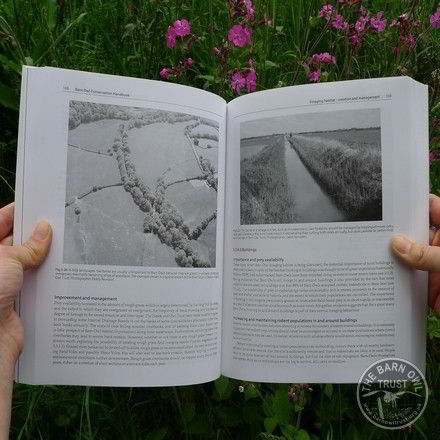 Packed with well-researched information and drawing on two decades of first-hand experience, the Barn Owl Trust’s book looks set to become the definitive reference for those with an interest in Barn Owls, their ecology and conservation. 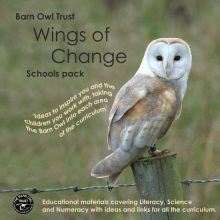 Like the Trust, this book is upbeat and practical, delivering an optimistic approach to Barn Owl conservation that is accessible to readers from a wealth of backgrounds. 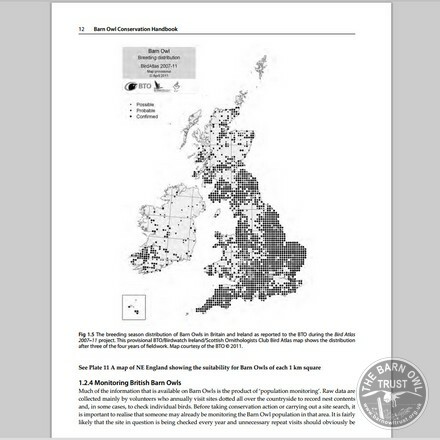 – Mike Toms, British Trust for Ornithology (BTO), Coordinator of the National Barn Owl Survey; Project Barn Owl. 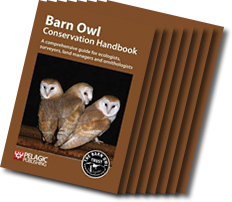 ‘The Barn Owl Conservation Handbook brings together intellectual and practical expertise in a way that is rarely achieved. 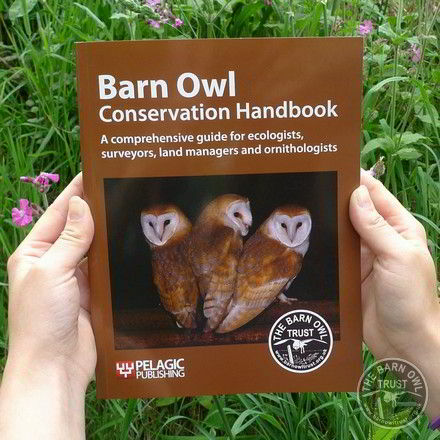 The must have book for any barn owl enthusiast!